Google has won its court case against Viacom, where it was facing a $1 billion claim for allowing users to upload copyrighted clips to YouTube. The landmark case is expected to have a major impact on future cases dealing with the responsibilities of the operators of user-generated media libraries, including BitTorrent sites. Over the past years Google has been battling in court with Viacom over the question of whether YouTube is protected against copyright infringement claims under the Digital Millennium Copyright Act (DMCA). Yesterday, U.S. District Court Judge Louis Stanton granted Google’s motion for summary judgment, ruling that Google is protected by the DMCA’s safe harbor provision. Effectively, this means that YouTube doesn’t have to remove any clips unless they are asked to do so by copyright holders. “If a service provider knows of specific instances of infringement, the provider must promptly remove the infringing material. If not, the burden is on the owner to identify the infringement. General knowledge that infringement is ‘ubiquitous’ does not impose a duty on the service provider to monitor or search its service for infringements,” Judge Stanton wrote. In a response, Google claimed the judgment to be a victory for all the people who ‘share’ on the Internet. “This is an important victory not just for us, but also for the billions of people around the world who use the web to communicate and share experiences with each other,” the company wrote on its blog. This judgment is obviously a huge win for YouTube and other video hosting services, but it also sets an important precedent for BitTorrent sites. 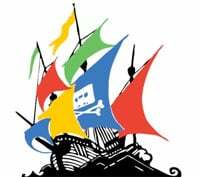 Google’s YouTube shows striking similarities to torrent sites as it allows users to submit content. The only difference is that YouTube actually hosts the uploaded files, whereas torrent sites only link to content indirectly through .torrent files. The Pirate Bay aside, nearly all torrent sites work closely together with copyright holders to ensure that their rights are respected. Like YouTube, IsoHunt and others have strict notice and takedown policies and swiftly remove .torrent files pointing to infringing material when they are notified by copyright holders. Despite the similarities, BitTorrent sites haven’t been very successful in court thus far. Using the same arguments as Google did in its case against Viacom, Mininova and isoHunt have both argued in court that they were protected by a DMCA(-like) safe harbor, but both eventually lost their case. The good news is that both isoHunt and Mininova have still options to appeal, and with yesterday’s landmark victory in hand their chances of winning may have increased. If anything, BitTorrent sites should be seen as less infringing than video hosting sites because they only link to copyright infringing content indirectly through .torrent files. If Judge Stanton’s decision is translated to BitTorrent sites, it means that under safe harbor protection sites like isoHunt and Mininova would operate legally and wouldn’t have to use filtering mechanisms to prevent users from uploading ‘infringing’ torrents. Viacom, meanwhile, isn’t done with Google and Youtube just yet. “We believe that this ruling by the lower court is fundamentally flawed and contrary to the language of the Digital Millennium Copyright Act, the intent of Congress, and the views of the Supreme Court,” the company said in a statement.